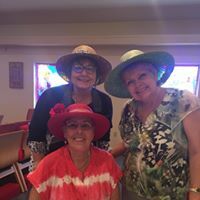 on Wednesday, April 24th, 2019 at 5:00 p.m. A reception will follow the service, hosted by The Daughters of the King. 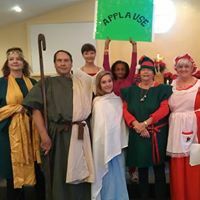 Welcome to the website of Christ the King Episcopal Church, located in beautiful Lakeland, Florida! We are a very dynamic and loving family of believers who worship in the Anglican tradition, but whose primary purpose is to "host the Presence of God". Our mission is to ENCOUNTER the risen Jesus through his Word, His Spirit, and our worship of Him. Our lives are transformed by the Voice and Love of our Heavenly Father Who has restored us to His heart through the cross and resurrection of His son, Jesus Christ. who will pray for your needs each day. 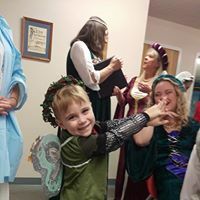 "Christ the King Episcopal Church is a thriving, Spirit-filled Church known as a welcoming place of refuge and actively involved in Ministry, missions, and educational programs." We come together at Christ the King as a body of Christ to worship God in spirit and truth. We seek to glorify God by our worship, our thoughts, words and actions. We sense the ongoing presence of God's spirit working within our lives and we believe that as we live out our faith in Christ, the Holy Spirit increasingly fills our lives, and this leads to joy, gratitude and growth in the knowledge and love of God and our neighbors. Our Christian Outreach extends from our local Lakeland organizations to Florida state wide assistance programs, and the support of Alpha and Omega Navajo mission in Chinle, Arizona to world-wide missions in Tanzania, Honduras, and throughout the World. 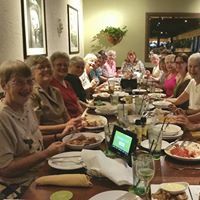 Christ the King provides a wide range of ministry opportunities for any interest, skill or level of experience, from Sunday servants to various Fellowship activities, to national organizations such as Episcopal Cursillo and Daughters of the King. 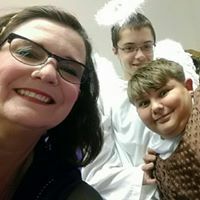 We offer educational opportunities, for Adults, Youth and young Children, including multiple Bible studies, a Children's Chapel service for elementary children, a Sunday School class for Middle/ High School students, Vacation Bible School for the community in the summer, as well seasonal programs for all ages. 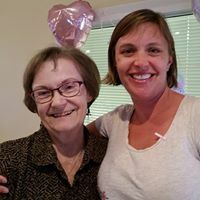 At Christ The King Episcopal Church, we come together as a warm, friendly, caring family of God with generous hearts for outreach and mission. We worship using a traditional Rite II service from the Book of Common Prayer (1979) and our music is a blend of traditional and contemporary songs focused on worshiping and glorifying God. We care about our community and support local (and world) missions with our gifts of time, talent and treasure. We host 9 AA meetings and 2 Al- Anon meeting per week as well as a Tops Chapter (take off pounds sensibly) and an Overeaters Anonymous group. 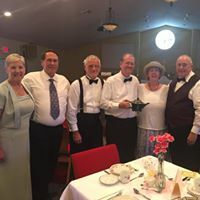 We encourage the community to join us for fun, food and fellowship at annual events such as the Car Show, Shrove Tuesday Pancake Supper, the Friendship Tea and Trunk or Treat. We also invite the community to worship with us every Sunday at 10:00 a.m. as well as on Holy days: Christmas, Holy Week (Palm Sunday, Maundy Thursday, Good Friday), Easter and at special services such as Blue Christmas, Lessons and Carols, Stations of the Crèche in Advent and Stations of the Cross in Lent. 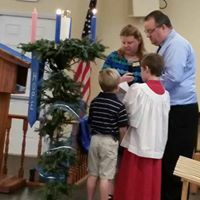 We hope that this website will answer the questions you may have about Christ the King Episcopal Church. If not please feel free to contact us via this website, telephone, email or our Facebook page, better yet come and worship with us on Sunday morning at 10:00 am, or join us for one of our fellowship events or special services. If for some reason you decide that we are not what you’re searching for (though we can’t imagine why) please feel free to contact us and we will do our best in assisting you in your search for a place to worship. We are after all working to build up the kingdom of God, not just Christ The King Episcopal Church.